MP Vyapam AeGM Recruitment 2018 has announced by the Madhya Pradesh Professional Examination Board (MP Vyapam) to fill up 150 AeGM, DeGM, Accountant, Lead Trainer, Trainer Vacancies. For the provided positions, the application process has started on 1st September 2018 and will end on 15th September 2018. Contenders can check the complete information about the Madhya Pradesh Professional Examination Board Advertisement 2018 from this page. We have arranged the direct link to apply for the मध्य प्रदेश व्यावसायिक परीक्षा बोर्ड Openings2018 at the below. Check the following sections to find the process to apply for the peb.mp.gov.in Openings 2018. Here, we had specified all the details of MP Vyapam AeGM Recruitment 2018 like Educational Qualification, Age Limit, PayScale, Application Fee, Selection Process below on this page. Candidates who are interested to apply for the MP Vyapam AeGM Recruitment 2018, they need to go through this entire post. Before going to the application process, the applicants need to verify and check their eligibility criteria. Moreover, in the below sections of this page, we have collected all the details of MP Vyapam AeGM Recruitment 2018 from this official notification. So, no need to worry, candidates should know full details about MP Vyapam AeGM Recruitment 2018 from this webpage. The officials of the Madhya Pradesh Professional Examination Board will not consider those applications which were submitted after the final date of the MP Vyapam AeGM Recruitment 2018 application process. Therefore, aspirants need to finish the process as early as possible. Refer the official notification of each post and get the information which helps you to apply for the MP Vyapam AeGM Recruitment 2018. For more updates, check our site Sarkari Naukri. 2 Year of Work Experience. MCA/ BE/ B.Tech./ B.Sc from recognized University. MCA/ BE/ B.Tech./ MCA/ MBA from recognized University. Graduate Degree with 01-year Computer Course from recognized University Or MCA/BE/ B.Tech./ M.Sc/ MBA. B.Com with PGDCA Pass from recognized University OR B. com- Computer Applications Pass. Candidates who are interested to apply, they need to satisfy the Age Limit For मध्य प्रदेश व्यावसायिक परीक्षा बोर्ड Openings 2018 which was given by the officials for MP Vyapam AeGM Recruitment 2018. Candidates who applied for this MP Vyapam AeGM Recruitment 2018, they need to participate in the selection process. candidates who had performed well, they will get pay scale as per the rules and regulations of the organization according to the applied vacancy. Initially, go to the organization website of Madhya Pradesh Professional Examination Board (MP Vyapam) that is peb.mp.gov.in. Find for the MP Vyapam AeGM Recruitment link in the homepage. 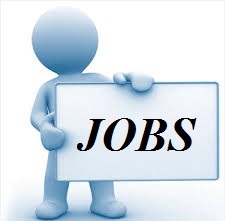 Click on the MP Vyapam AeGM Recruitment Notification. Read all the eligibility criteria present on the notification. Fill the registration form with correct and genuine details. Recheck the specified details in the application form. Upload the required documents for the registration form and submit it before the final date. Take two or more printouts for the future usage.